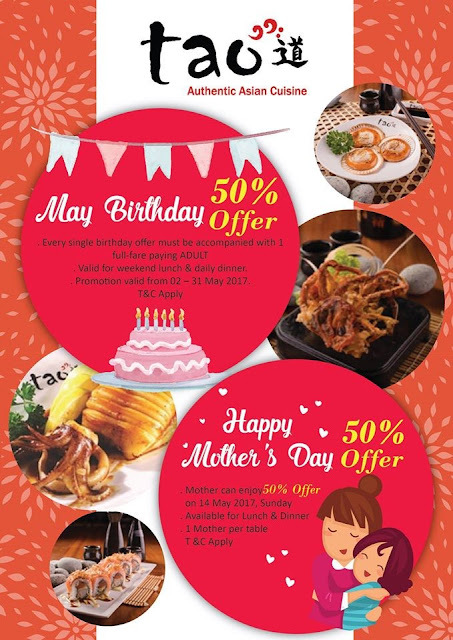 Toa Authentic Asian Cuisine restaurants is offering following deals on this May 2017 at all outlets! Those Born in May can enjoy 50% off, must show identity card upon dine – in. Promotion valid from 2 May 2017 – 31 May 2017.